Reacting to the current crisis of authority, Ghobash writes about a new space created for the Muslim individual or the lay Muslim to channel the direction of Islamic discourse and debate: ″I want my son′s generation of Muslims to realise that they have the right to think and decide what is right and what is wrong, what is Islamic and what is peripheral to the faith.″ He suggests that tools available to the individual, such as literary fiction, visual arts and film would allow young Muslims to empathise with one another and enchant our imaginations. In order to gain the reader′s trust, Ghobash opens up and shares some of the most personal moments of his life with readers, using his own story as a springboard from which to introduce ideas and interjections. 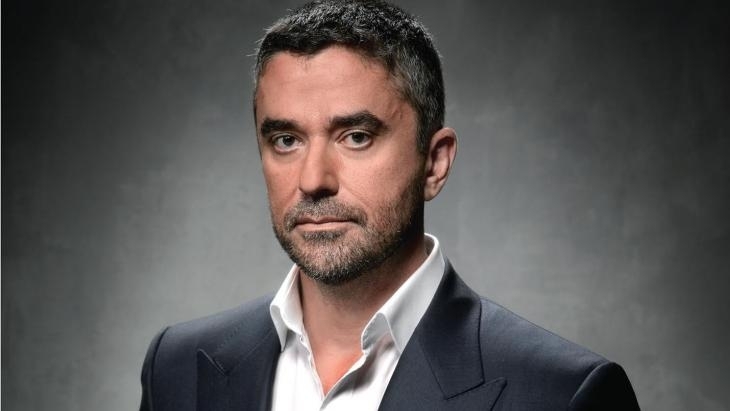 Some of the most powerful moments in the book are when Ghobash discusses personal sentiments about the assassination of his father when he was only six years old and of the family′s perseverance in the years that followed. Ghobash′s father Saif, for whom he named his son, was a UAE Minister of State for Foreign Affairs. A polyglot and an intellectual, Saif Ghobash was tragically assassinated in 1977, mistaken for a visiting Arab dignitary during a politically charged era of heightened conflict, not unlike the current one. From the brief moment of jubilation he experienced when he was pulled out of school early one day only to find a coffin at home draped in the national flag of the United Arab Emirates to the research he started when he was twelve years old in his attempts to find out more about what happened that day and why, Ghobash′s book delves into areas that few of us would dare share about our own lives. In doing so, he points to Central and South Asia where local tradition mixes with Islam and to inner cities of the US, not to mention university campuses, where different Islams flourish. 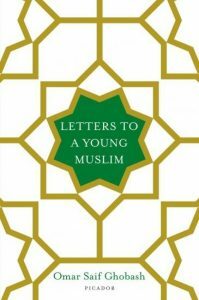 A remarkable idea in the book is the notion that the elevation of the status of warriors in Islamic history as the sole role models taught to Muslim students in schools today has left an impact on our youth. Because I belong to the same generation as Ghobash, I too studied from largely similar textbooks – textbooks which fortunately have undergone significant revision recently. Our books and teachers would indeed offer us examples of Muslims who were triumphant, who forced their enemies to succumb. Yet Islam boasts so many famous names who succeeded – and are still succeeding – in other fields from science to literature. Sadly these individuals continue to be relegated to the margins of studies. ″Perhaps by looking at why we still cherish the model of the warrior, we might begin to understand where we have fallen behind the rest of the world,″ Ghobash concludes. He further advises young Muslims to take practical steps, again emphasising the role of the individual in Islam. ″Look around yourself. Who looks like he or she is fearful or hungry, weak or humbled by life?″ and ″see how you can help them.″ Basically, take ownership of the challenges Muslim societies face. Ghobash then does something that is so simple and yet so rare: he poses questions that are still taboo in many parts of the Muslim world. Could the separation of the sexes lead to psychological confusion? What if homosexuality is not chosen, but genetically predetermined? And what should we do when an allegedly Islamic idea is clearly nonsense? Ghobash tells his son that ″these are questions of your generation. Don′t let anyone tell you that a question buried is a question answered.″ He recounts the philosophical questions raised by the Mu′tazilites, 10th century thinkers of Baghdad and Basra who espoused logic and reason when dealing with questions of religion. These ideas were crushed by those who held puritanical views of Islam and relied solely on revelation unveiled to the Prophet Muhammad. The author is hopeful that future generations of ulema, or Muslim scholars ″for the twenty-first century″, will reflect on the importance of logic and reason to fill the missing gaps in religious theology. Ghobash argues that Islam needs constant regeneration, or moral progress, to thrive; ″when we come across new information and ideas, previous understandings need to be refined in order to accommodate the new input.″ He maintains that it is still unusual for us as Muslims and Arabs to think of the dynamic relationship we have with the West and how, because of this connection, our lives ″are increasingly not just liveable but pleasurable″. Demonstrating a typically British sense of humour, Ghobash remarks dryly that resorting to violence ″is a particularly unintelligent and unimaginative way to deal with matters″. Indeed he goes on to say that violence ″is a short route to immediate empowerment and satisfaction,″ a notion that other scholars have touched upon, suggesting that young Muslims feel marginalised by their state and society. Omar Saif Ghobash, who was only six years old when he was deprived of an intellectual giant in his life, grew up to be one himself.